APARTMENT complexes can come with plenty of bells and whistles, but imagine if yours had a Gold Class cinema, a gym, several supermarkets and even a department store or two. Sounds kind of like living in a shopping centre, right? Well, that’s because it pretty much is. And if a radical idea from a Brisbane retail expert takes off, shopping centre living could become the norm. Inspired by the slow demise of suburban shopping centres, the pitch has been floated to put space vacated by failed retailers to more practical and profitable use. In Brisbane, where once bustling retail complexes are becoming ghost towns, major retailers are pulling out of suburban shopping hubs almost every month. In the city’s north, the Brookside Shopping Centre is set to farewell its Myer store, leaving 17,793sq m over three levels to be “reconfigured”. 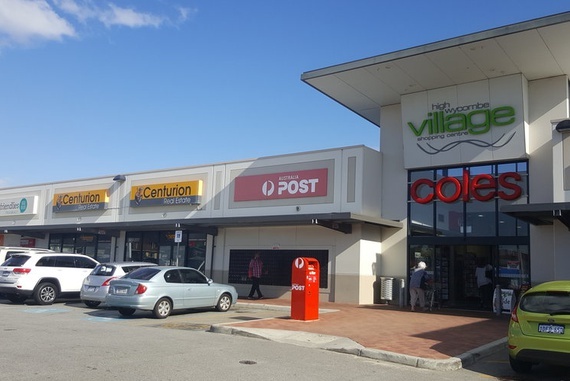 Rather than setting up more retailers to fail or leave “for lease” signs lingering in empty shopfronts, Queensland University of Technology retail expert Dr Gary Mortimer says its best developers think outside the retail space and go residential. “This is something we’ve seen come out of the US where an opportunity has been seen in the form of decommissioned or older centres, which are sitting in great thoroughfares, major roads, and with great facilities on your doorstep,” he tells news.com.au. Rather than having to set up your letterbox next to the David Jones entrance, or having to give dinner party guests directions on which way to turn past the food court, Dr Mortimer is proposing centre managers condense their retail stores to fill up a smaller area, and use an existing section of the complex to develop apartments. This would mean convenient living for residents, and a more reliable investment in real estate rather than struggling retail businesses for centre owners or managers. “I think centre managers would be looking at this and going this is a great way to make value rather than have empty sites, and the infrastructure’s there, plus if you’ve got another 2000 people living on top of you, that’s your market captured, right there,” he says. Adjunct professor at the Royal Melbourne Institute of Technology and practising architect Dr Graeme Gunn agrees the shared use of space could be a win-win. “The idea goes back to the 1980s when we were starting to rehabilitate warehouses for both residential and office use,” he said. With a need for higher density living increasing, and many bricks and mortar stores struggling to survive, Dr Gunn said he couldn’t fault the plan. “It’s one of those things worth pursuing, if you had a property which was retail and it was diminishing in value, you’d be probably very happy to look at an option. It’s very sustainable,” he said. But when it comes to selling the concept, managing director of Queensland property valuation firm Heron Todd White, Gavin Hulcombe, said there was a lot of pressure on developers to hit the right balance. “I think in time this will certainly be a viable option, but I guess the question is whether it’s a little bit premature,” he said. Mr Hulcombe said issues like traffic management, including directing noisy garbage and delivery trucks to service the nearby retail space, could be make or break. “It certainly can be done, but it has to be done well,” he said. Currently, retail and commercial spaces are an added attraction to residential buildings, usually based on the base and podium levels of apartment blocks. Chief executive of the Real Estate Institute of Queensland, Antonia Mercorella, says this model has been particularly successful in Queensland where a shift towards apartment living is underway. She says turning this concept on its head by building living spaces where those facilities already exist, could also be successful. “One of the key things we know buyers of apartments are looking for is amenity and lifestyle factors. Living above retail and cafes and restaurants is already very popular. As that trend evolves, it’s only a short hop, skip and a jump to building residential apartments above larger retail hubs, such as major shopping centres,” she told news.com.au. Log into your account to access your property information.